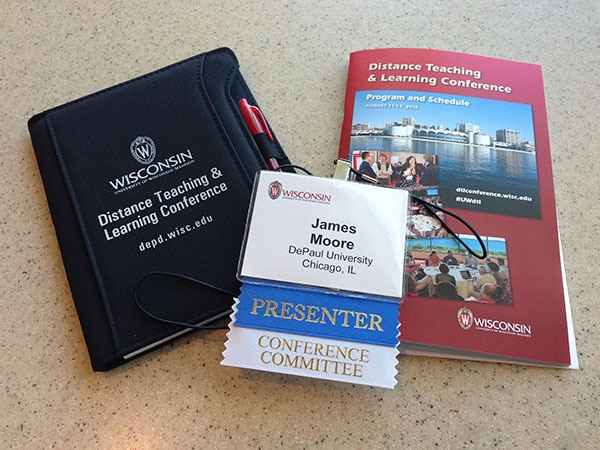 Registration for the annual Distance Teaching and Learning Conference opens today. 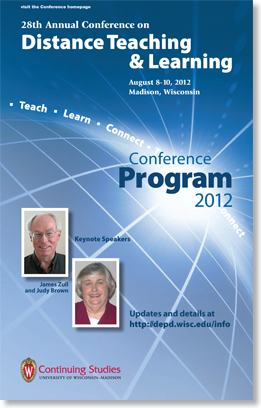 I highly recommend attending the conference. 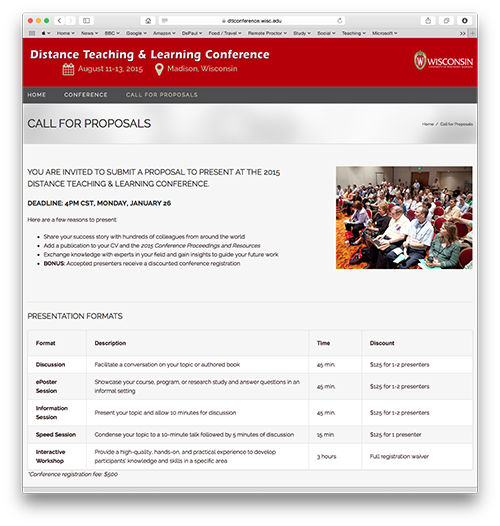 The DT&L (Distance Teaching & Learning) Conference Call for Proposals are open. 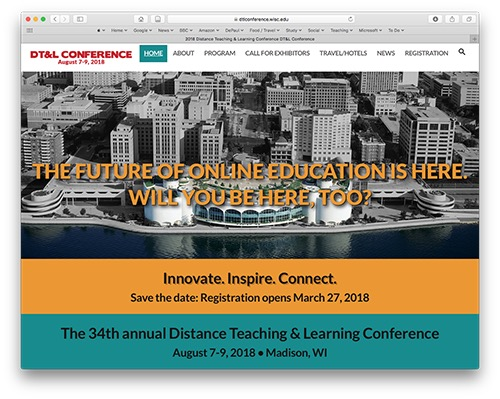 If working in the field of Distance/Online Learning, I would highly recommend you to consider presenting at the conference. The deadline to submit is 4:00 pm (Central Time) on Tuesday, January 22, 2019. 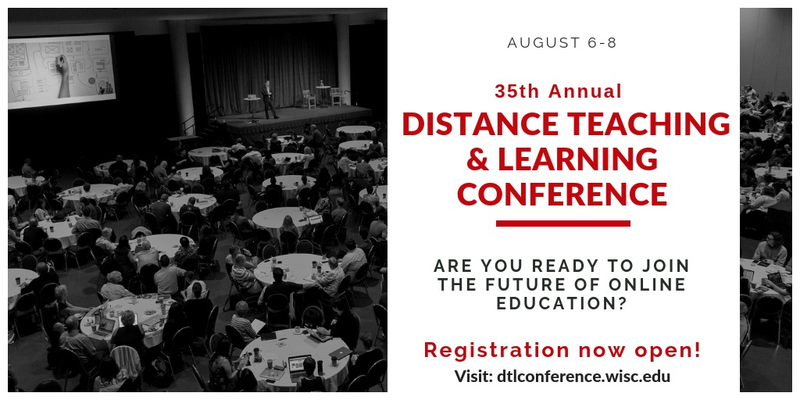 I am presenting an Information Session (iPad Lecture Capture: Information Session I-3) at the 30th Annual Conference on Distance Teaching and Learning. The presentation will take place on Wednesday 13th August from 10:30-11:15 a.m. This will be part of the Technology,Tools, and Media track. 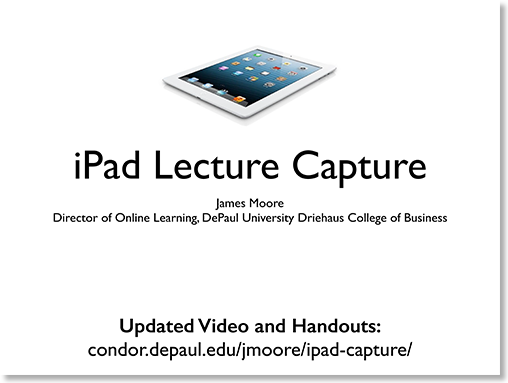 The presentation notes, hyperlinks, and PDF can be accessed here. 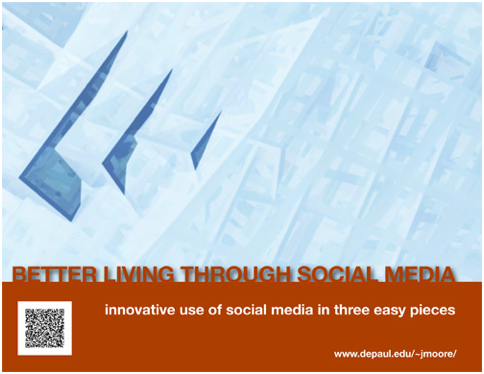 I have uploaded the video to accompany the presentation given at the DePaul Faculty Teaching and Learning Conference (20th April, 2012). You can view it here, or on the page with the transcript and handouts. I presented ("It's-a me, Mario!" 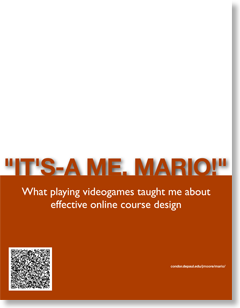 – What playing videogames taught me about effective online course design) at the 2012 DePaul Faculty Teaching and Learning Conference on Friday. The webpage and handouts for the presentation are now live, and can be found here. 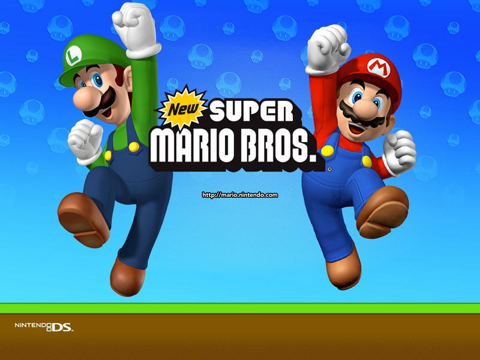 My proposal to present ("It's-a me, Mario!" 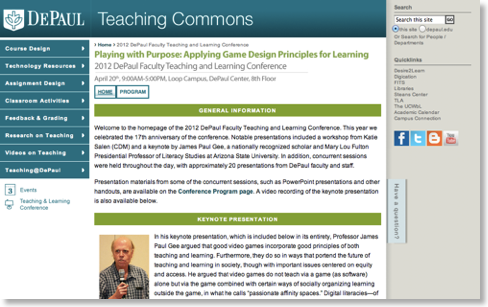 – What playing videogames taught me about effective online course design) at this year's DePaul Faculty Teaching & Learning Conference has been accepted. Super Mario and The Legend of Zelda are two of Nintendo’s most valuable video game franchises, spawning a slew of highly regarded (and highly selling) series of games on multiple consoles. I cheerfully admit to spending a considerable amount of time playing these games over the years, but playing these games has also taught me much about effective and fun design of online and hybrid courses. 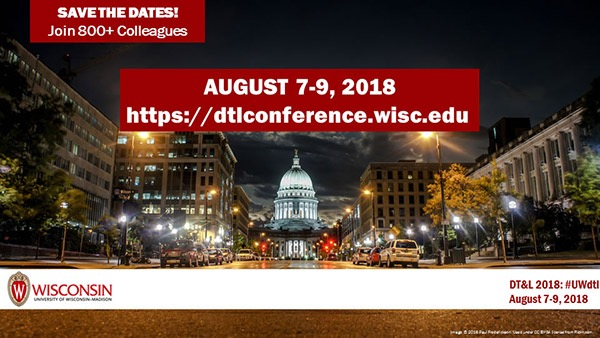 In this dynamic session I will outline ten lessons learned from these two video game series that can be applied to course design – structuring a course that promotes student learning, reduces confusion, and that could even be fun. 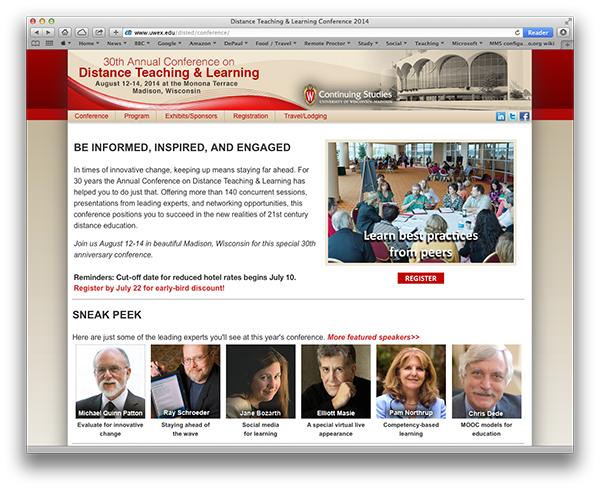 Registration is open for the 17th Annual Sloan-C Online Learning Conference. 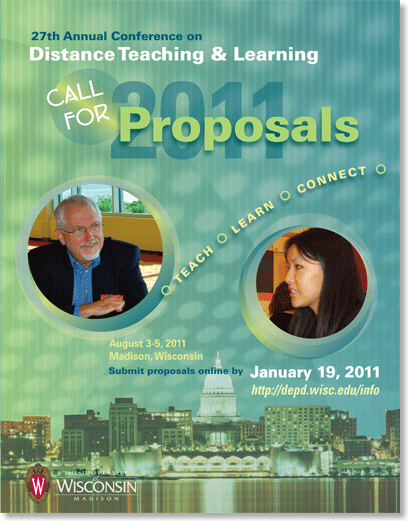 The conference program for the 2011 Annual Conference on Distance Teaching & Learning is now available. 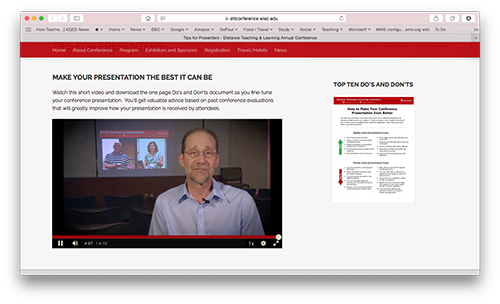 You can now review and share this year's program with over 170 sessions and events planned. This year, you can also take your exams for certification by the Linux Professional Institute (LPI) and BSD Certification Group (BSDCG). Chris McAvoy, VP of Technology at Threadless, on "What Should You Build?" Edward R. Swiderski III, partner at GreenCanyon, on "Is Software Licensing Still Relevant?" Reception 4:00 - 4:30 p.m.
Keynotes start at 4:30 p.m. Morning Reception 9:00 a.m. – 10:00 a.m.
Main conference starts at 10:00 a.m. Morning Reception 10:00 - 11:00 a.m. Flourish! is organized by the Computer Science department of the University of Illinois at Chicago’s (UIC’s) School of Engineering, as well as the University's Linux user group and chapter of the Association of Computing Machinery (ACM). The conference is sponsored in part by GreenCanyon, Linux Journal, the Linux Professional Institute, Orbitz, O'Reilly, SourceForge, Times Two Technology, Threadless and Ubuntu. Conference updates and conversation-starters on Twitter at http://twitter.com/flourishconf/. More information (and registration) can be found here. 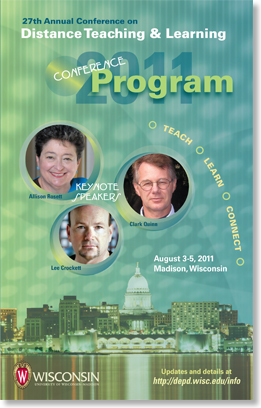 Phil Gomes just emailed me to remind me that FlourishConf 2011 will be held April 1-3 this year. They have some great speakers, including folks from Threadless, Nokia, 3Ware, ZaReason and the Open Source Digital Voting project. The conference is well worth attending. Detailed schedule is coming soon. The conference has a presence on Facebook (http://facebook.com/flourishconf) and Twitter (http://twitter.com/flourishconf/).